Queensland is considered to be one of the most beautiful destinations in Australia and is blessed with gorgeous reefs, sun-kissed beaches, national parks and much more. 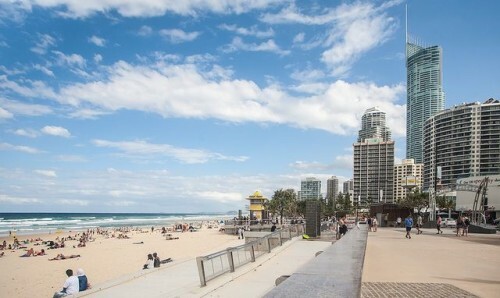 The Gold Coast is one of the most popular surfing destinations and the Great Barrier Reef is located on Queensland’s coastline. Unfortunately Queensland’s great climate and outdoor lifestyle does increase the risk of developing skin cancer as exposure to the sun’s ultraviolet radiation adds up over time. According to Cancer Council Queensland, Queensland has one of the highest rates of skin cancer in the world with over 3100 people estimated to be diagnosed with melanoma every year. The main cause of all types of skin cancers is exposure to ultraviolet (UV) radiation from the sun or another source, such as a solarium tanning machine. Family history and hereditary factors (particularly within your immediate family), also play an important part in the risk of developing skin cancer. People with fair skin are at higher risk of developing skin cancer than people with naturally very dark skin. If you have a great number of freckles or moles, you are at higher risk of skin cancer. Melanoma is more common in older adults than younger people, with the average age of diagnosis at 61 years. Although early onset melanoma is comparatively rare, melanoma is one of the most common cancers and the leading cause of cancer death for young Australians. The vast majority (83%) of non-melanoma skin cancer treatments were administered to Australians aged 55 years and above. While small amounts of ultraviolet (UV) radiation are required for the production of vitamin D to keep bones and muscles strong and healthy, skin can burn from just 15 minutes of exposure to the summer sun. Overexposure to UV radiation from the sun or solarium use causes permanent damage that adds up over time. As part of an international effort, the UV index, a simple and informative way of describing the daily danger of solar UV radiation intensity, was developed by WHO, the United Nations Environment Programme, and the World Meteorological Organization. Each point on the Index scale is equivalent to 25 milliWatts/square metre of UV radiation. In Queensland, the UV index is usually 3 or higher throughout the year, even in winter, which means that Queenslanders should protect their skin from the sun all year round. When the UV Index forecast is 3 or above, UV Radiation is at a level that can damage your skin and lead to skin cancer. The higher the Index value, the greater the potential for damage to your skin. To access a free daily UV forecast, click here. The great news is that the majority of cases of skin cancer are preventable. The best way to reduce your risk of developing skin cancer is to use the 5 recommended sun protection methods whenever you are outside. To reduce your risk of developing skin cancer, check Cancer Council Queensland’s 5-Step Skin Cancer Prevention Tips here. You can also check out our post on avoiding skin cancer here.